Wagner’s consistent quality and high capacity of airless technology can be found in the full range of Heavy Coat pumps. 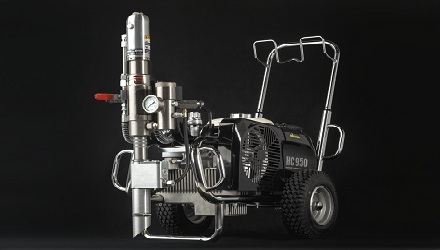 The perfect family of piston pumps, with both Electric and Petrol units, make them ideal for application of high viscosity, bituminous and fire retardant material. Robust and reliable pumps for larger work sites or projects. You will find the right pump in the Wagner Heavy Coat range.